Last night was the Palm Springs Awards Gala, and from the sound of it, it seemed like a lot of fun. Alicia Vikander, Brie Larson, Cate Blanchett, Michael Fassbender, and Bryan Cranston were some of the honorees, but the awards were the least interesting part of the night. 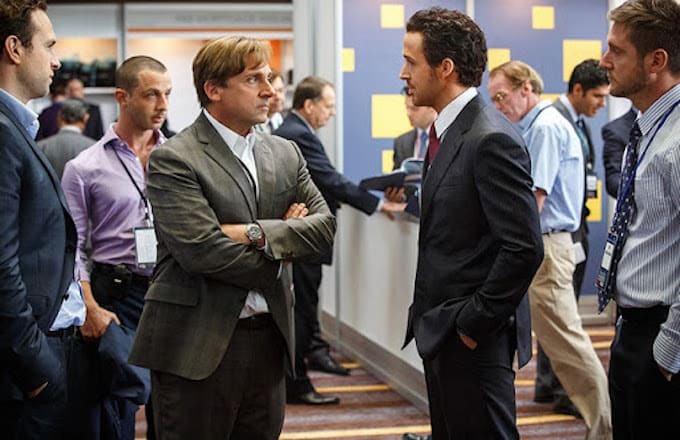 When The Big Short was up for an award, Steve Carell expressed some not-so-nice words about costar Ryan Gosling. "I think as an ensemble we can all agree that we all really hated Ryan Gosling," Carell said after being called onstage with the film&apos;s ensemble cast. Although it was all in good fun, the always-clever Gosling wasn&apos;t there to fire back. But Adam McKay, the director of the film, also had something to add to the mix. McKay spoke about a day on set when Gosling "goaded me into taking my shirt off, and then got everyone to laugh at me. That was not a good day." To be fair, does anyone look as good as Gosling with his shirt off? Anyway, you can watch the entirety of the Palm Springs Awards Gala here. Or, you can fast forward to the 2:31:00 mark to hear the cast of The Big Short speak about their absent costar. 20 Things You Didn't Know About "Are You Afraid Of The Dark?"